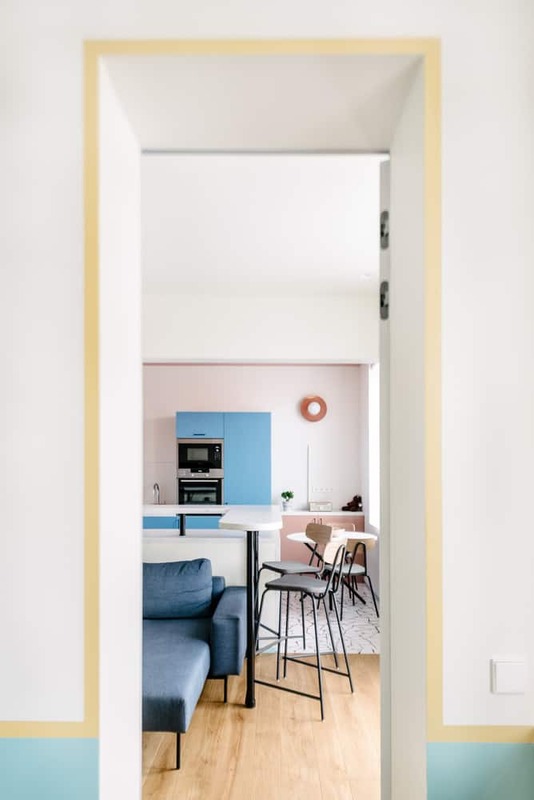 This delicate apartment has been recently remodeled for a client, who, having lived for many years in Copenhagen, felt comfortable in the minimalist interiors. 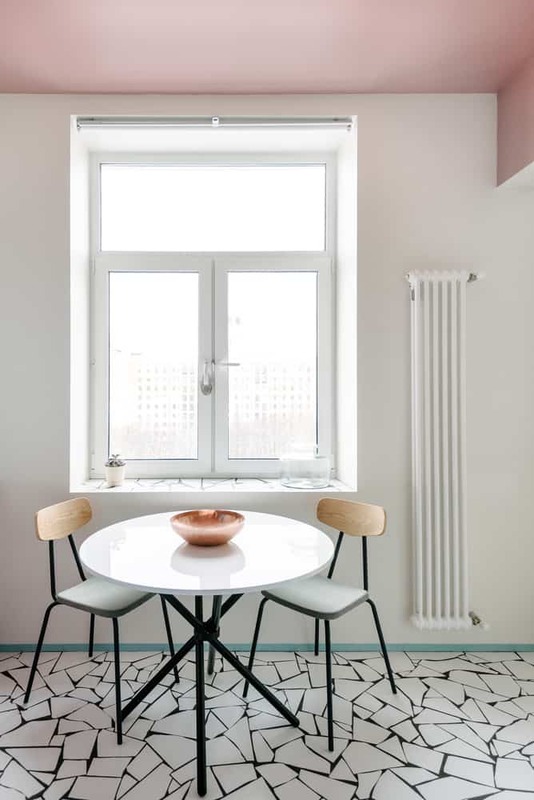 So, being back in Moscow, Russia, he decided that this was the style he wanted for his new home, so the architecture firm buro5, led by his architect Boris Denisyuk, got down to work and created this interior with Scandinavian style. 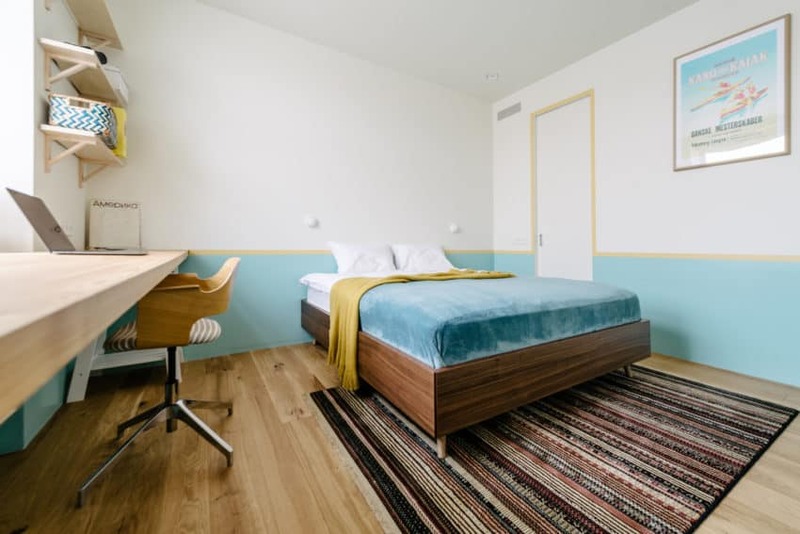 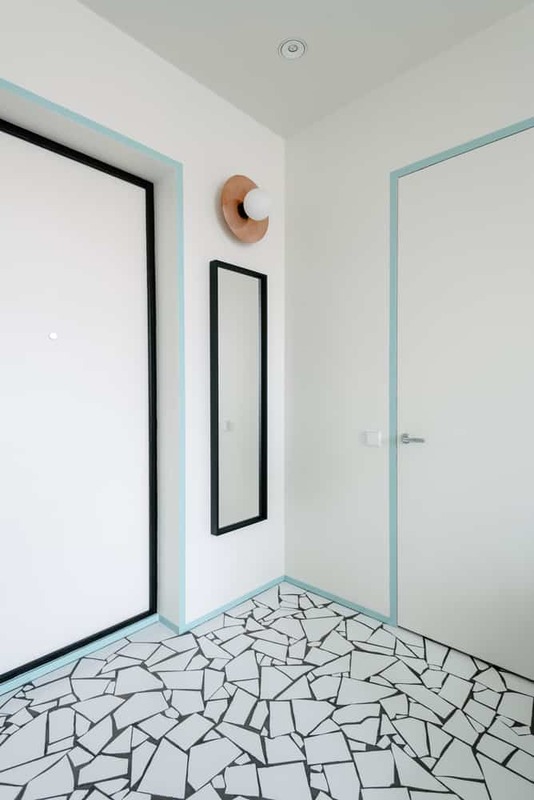 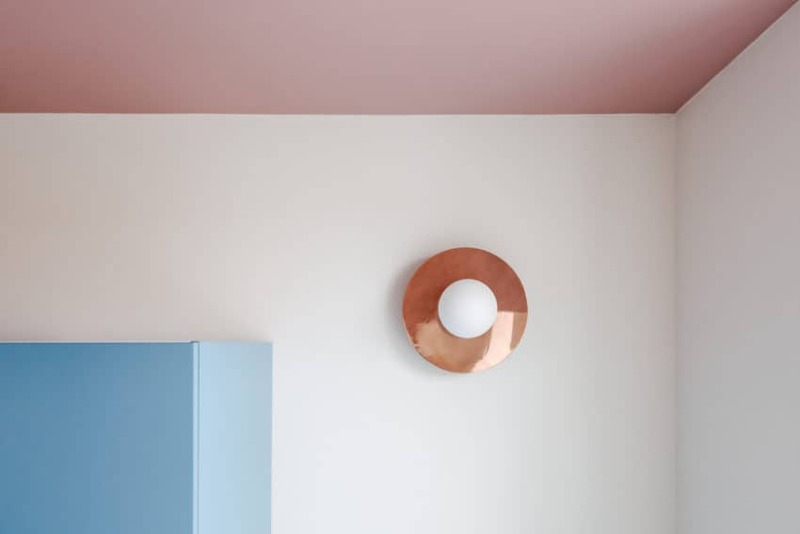 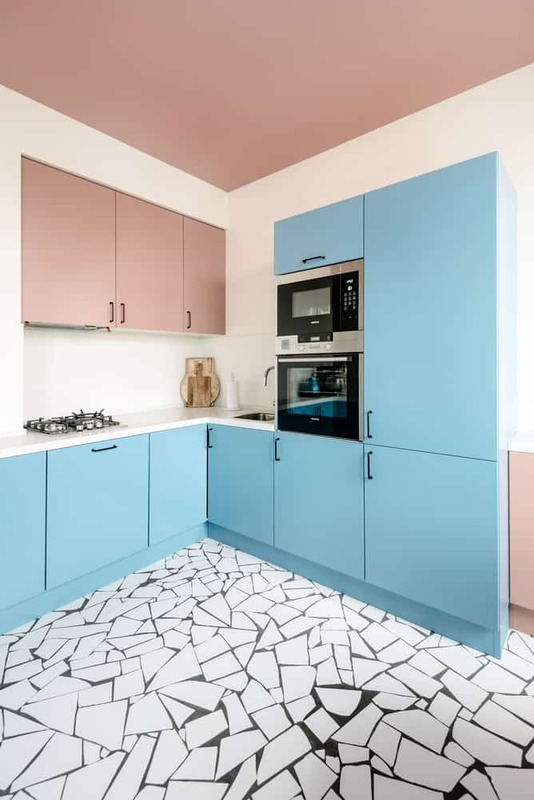 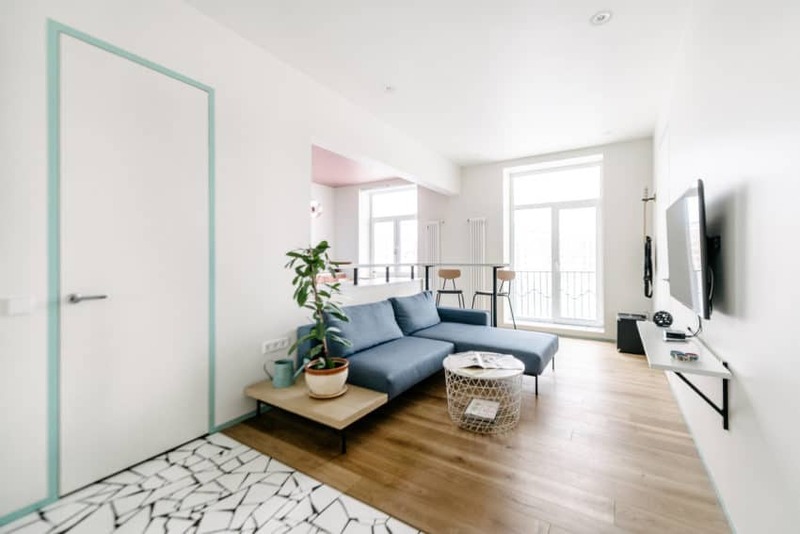 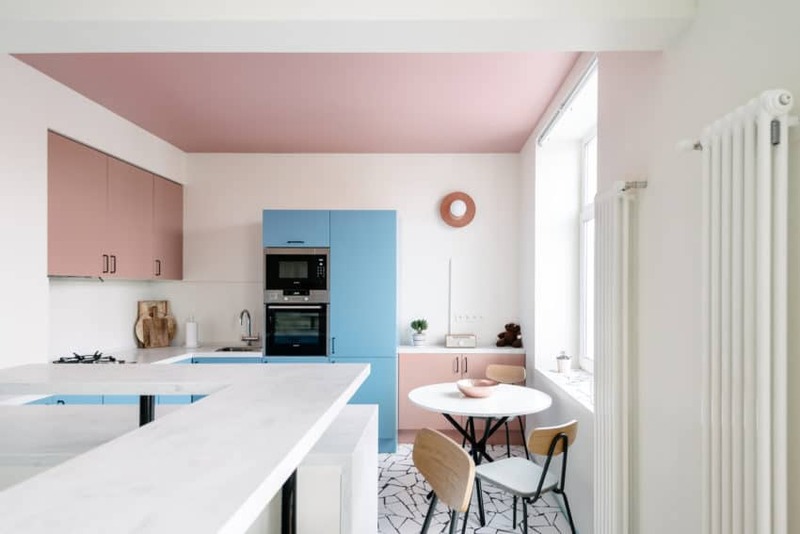 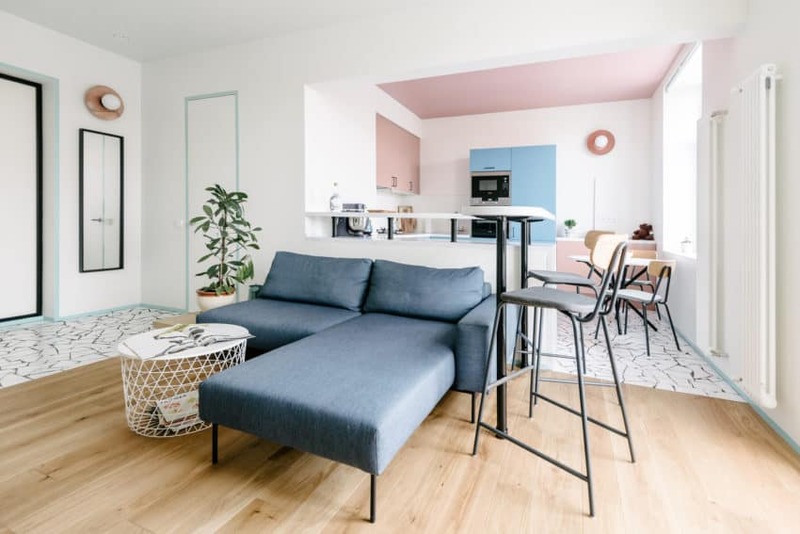 Among other things, they decided to paint the interior walls in blue and pastel pink with touches of mustard and fill the spaces with furniture as well as Scandinavian accessories. 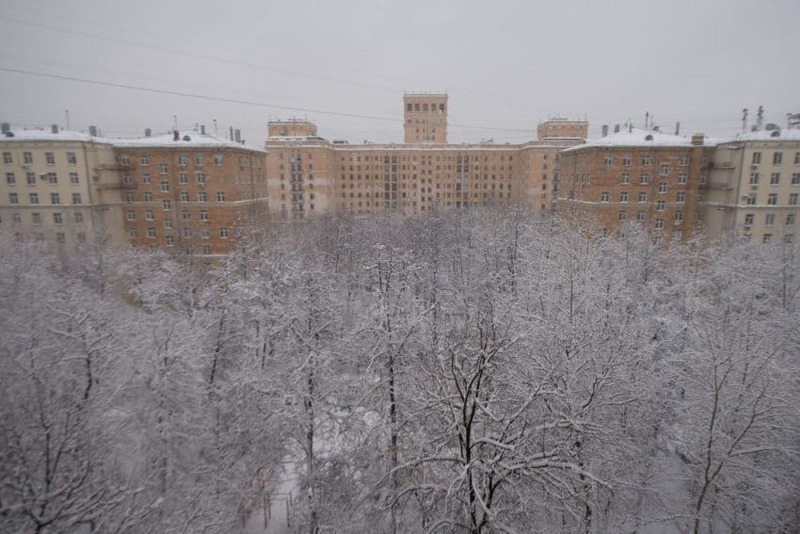 The apartment, covering an area of 55 square meters, is located in a Stalinist house built in 1957. 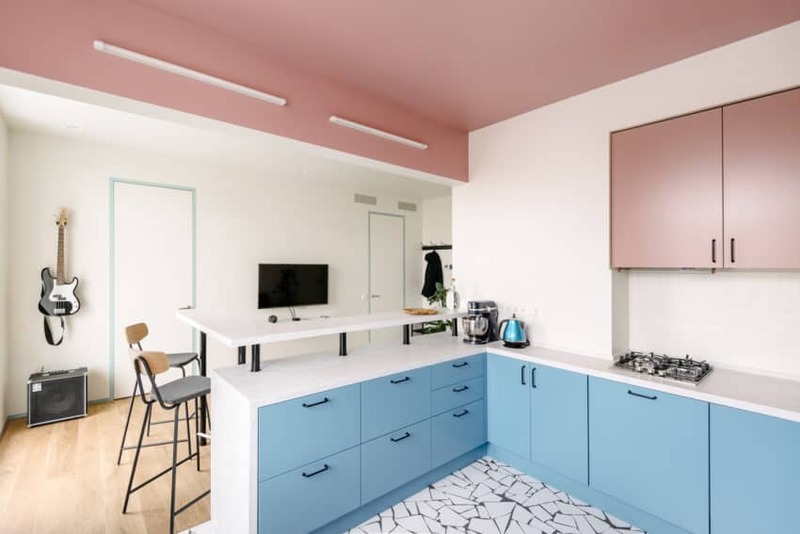 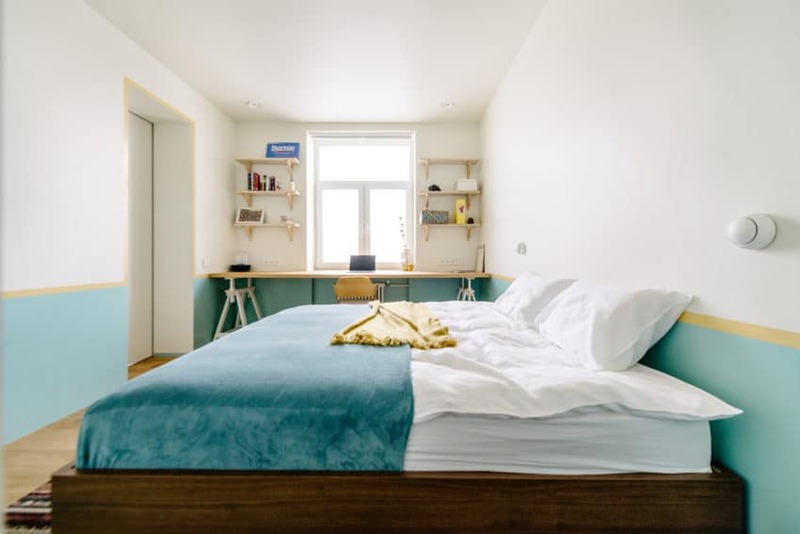 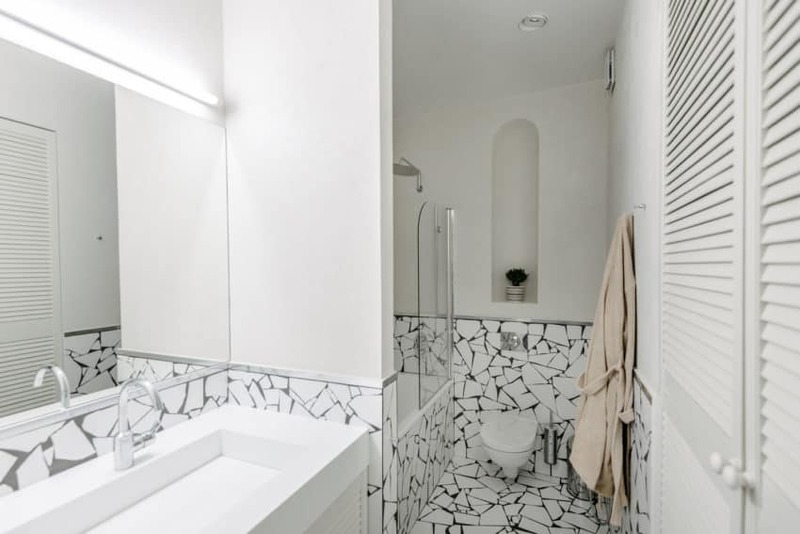 The architect did not have the opportunity of a radical remodeling: the load wall and the beam pass through the apartment, so he combined only the kitchen and the living room, and left the bedroom isolated. 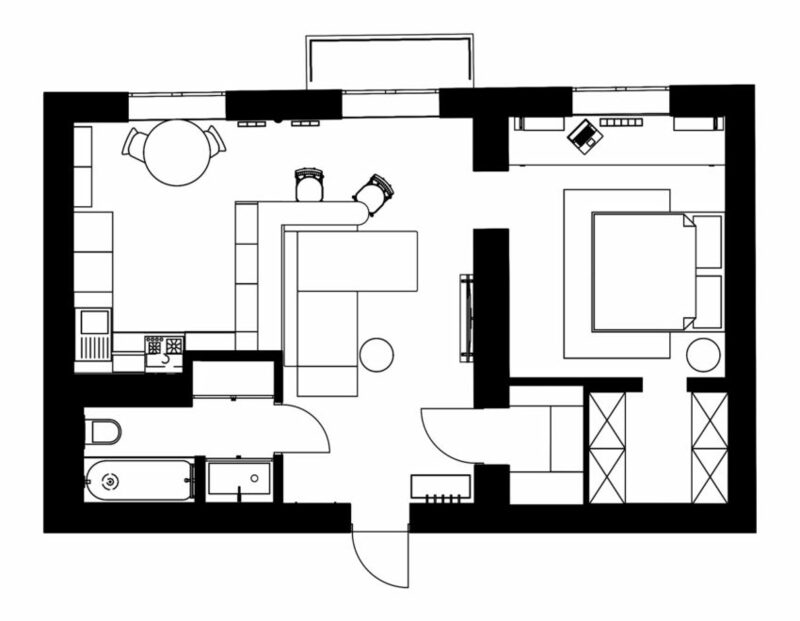 The apartment has a very spacious kitchen, and also two closets at the request of the client. 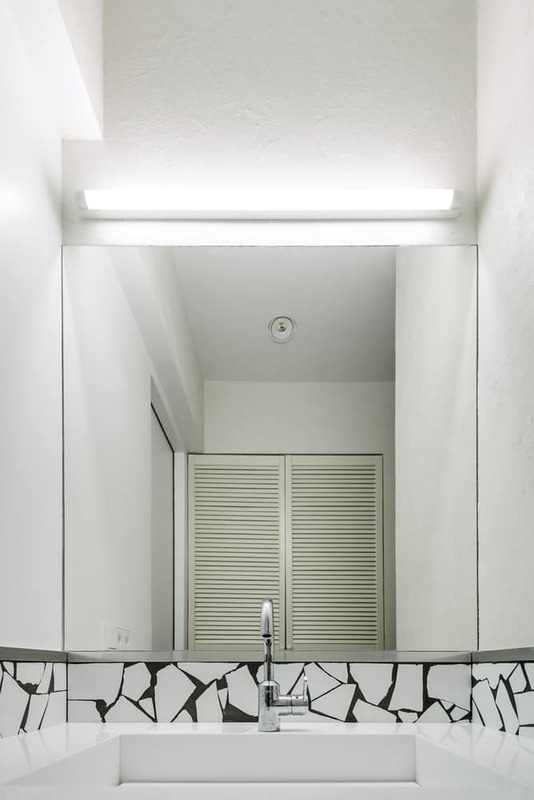 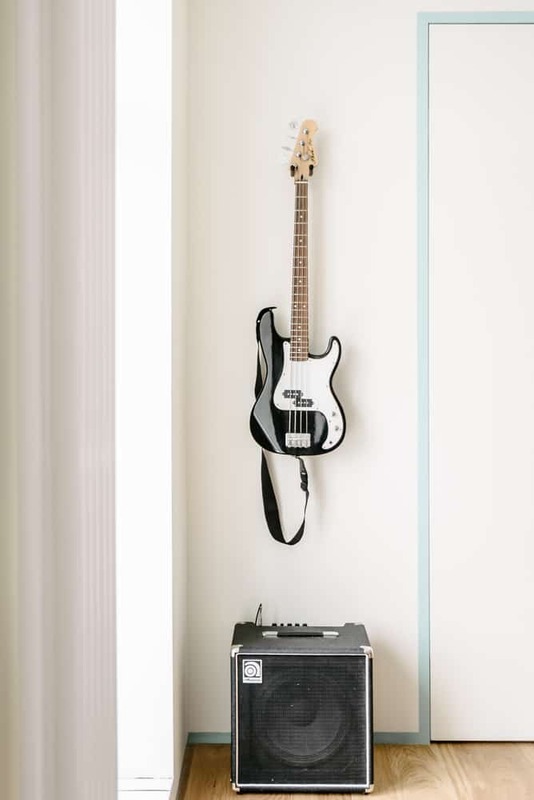 One can access one from the hallway and store one’s outer clothing and all household items. 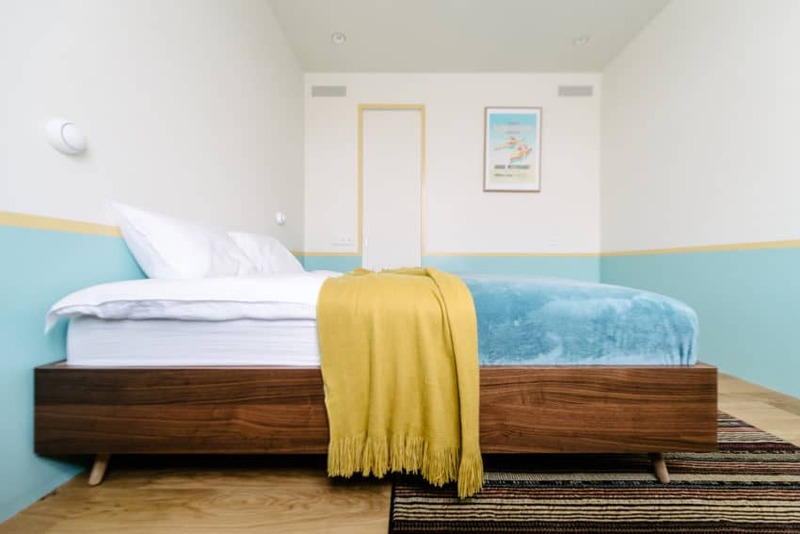 The second is adjacent to the bedroom. 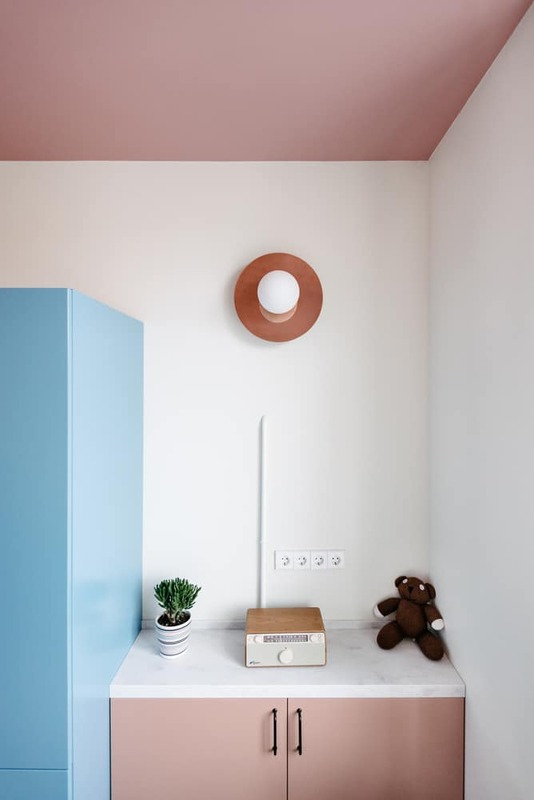 Decorating the living room was extremely simple: a sofa, a television and a shelf underneath. 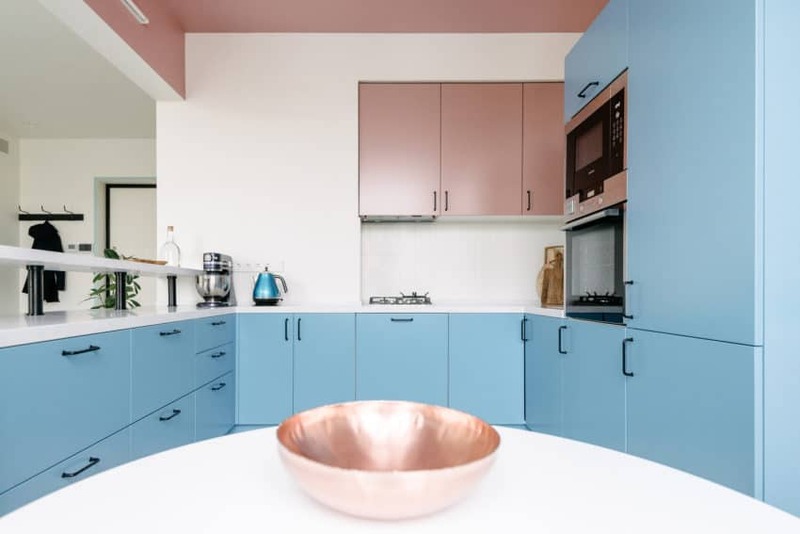 There is also a bar counter, which is a continuation of the kitchen.